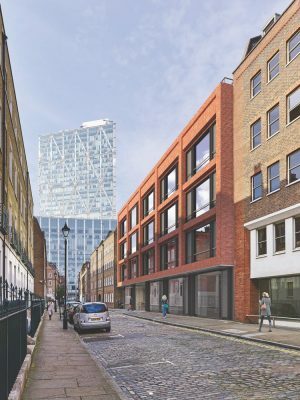 Tower Hamlets Council has approved proposals to refurbish Folgate Court, an existing 1960s office building located on the western edge of the London Borough of Tower Hamlets, between Shoreditch and the City of London. London-based architecture practice Orms has been appointed by DTZi to transform the office building to deliver a high quality, sustainable development that will provide new office accommodation to meet the requirements of the modern day occupier, whilst improving the building’s relationship with the surrounding environment. 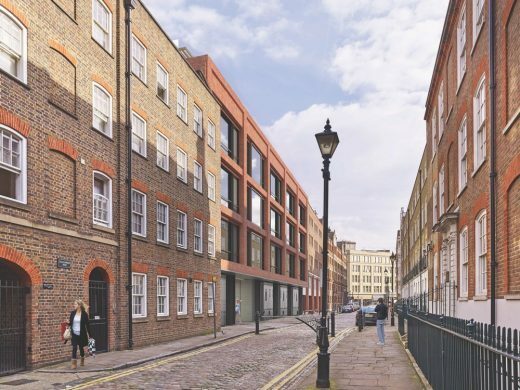 Orms’ proposal for Folgate Court includes retaining and upgrading the existing buildings and extending at the rear around the existing courtyard in order to enhance floor space efficiency which supports increased employment density and modern access and inclusivity requirements. 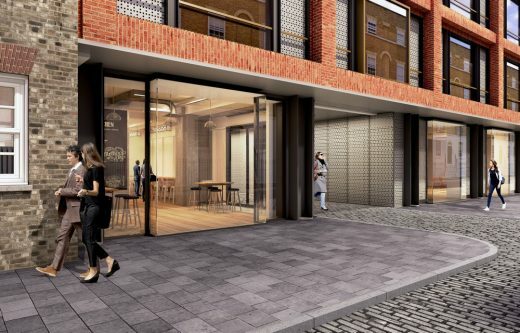 The scheme proposes to replace the building’s existing white panelled street façade with a brick facade to integrate with the all brick street. The new facade will have a more vertical emphasis by referencing the existing 5 bay grid to balance the horizontal brick bands and window fenestration. Depth and articulation will be created on the brick façade to add visual interest. The entrance to the building will be highlighted by protruding glazed bays above the passage. 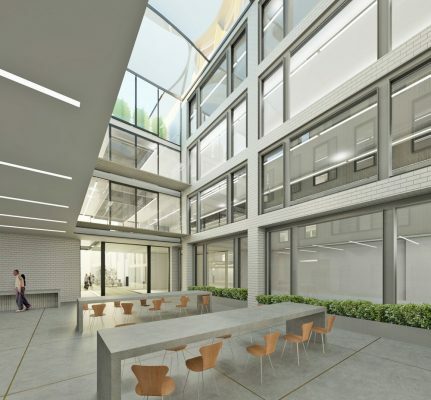 Folgate Court is one of several projects Orms are currently working on including the regeneration of St Giles Circus, and central London office refurbishments of Commonwealth House, Oxford House and Abacus House. Construction on Folgate Court is expected to start in 2017.